As mentioned, in the post ‘How to keep your wedding guests happy’, my number one top tip to keep your wedding guests happy (and ensure your wedding is remembered as a great day by all) is to keep your guests fed, watered and entertained. If you get this right then you pretty much can’t go wrong by them. Fail at one of these things and your guests will get twitchy, tetchy or bored. 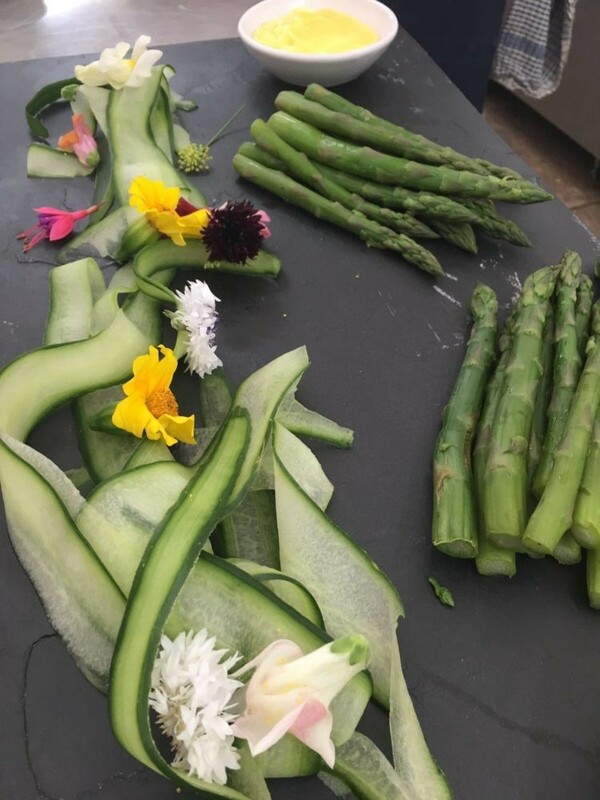 Plus as someone with dietary requirements, I’m always impressed (& relieved) when different diets are considered at a wedding (take a look at my post on ‘Catering for special dietary requirements’). 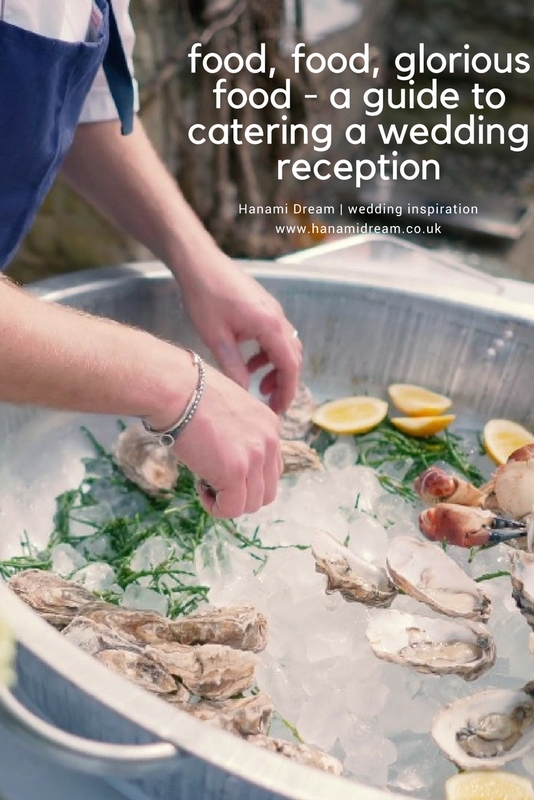 Here are some tips from top local caterers Ross & Ross Food, who have been recently named ‘The Best Wedding Caterers in the UK’ in the Hitched Wedding Awards 2018. Here is their insight into catering your wedding reception and a look at current catering trends to consider in your wedding planning. Since we started wedding catering in 2015, we noticed a big spike in people’s love for food stations. Basically, they are small stations of different types of food that your guests can approach and select what they want. 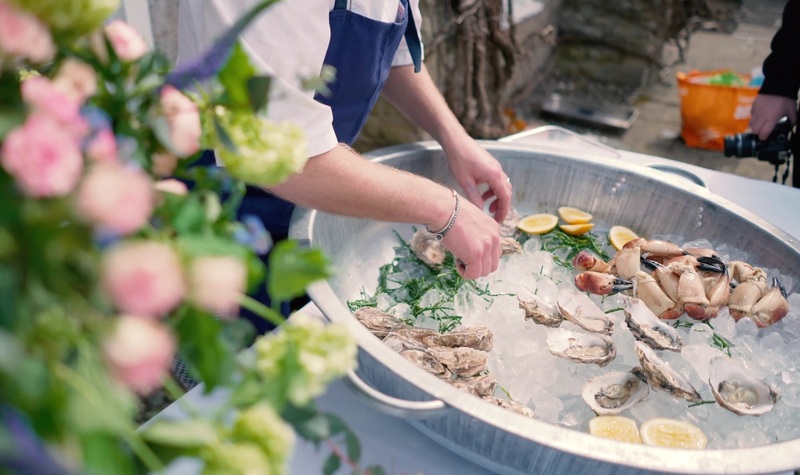 The idea behind our food stations is that it creates a social aspect to your wedding. It also allows your guests to try a variety of different foods, instead of having a simple plated dish. Our food stations include Iberico Ham stations, Oyster stations, Doughnut walls and Yakitori stations. At Ross & Ross Food we pride ourselves on quality and a bespoke service. We provide this excellent quality by always using seasonal food in our clients bespoke menus. Using seasonal food ensures the produce is fresh and of excellent quality. This, therefore reflects in the standard of our food and evidently our clients are always blown away. We pride ourselves on the idea of supporting local, so always try to use local producers around the Cotswolds. 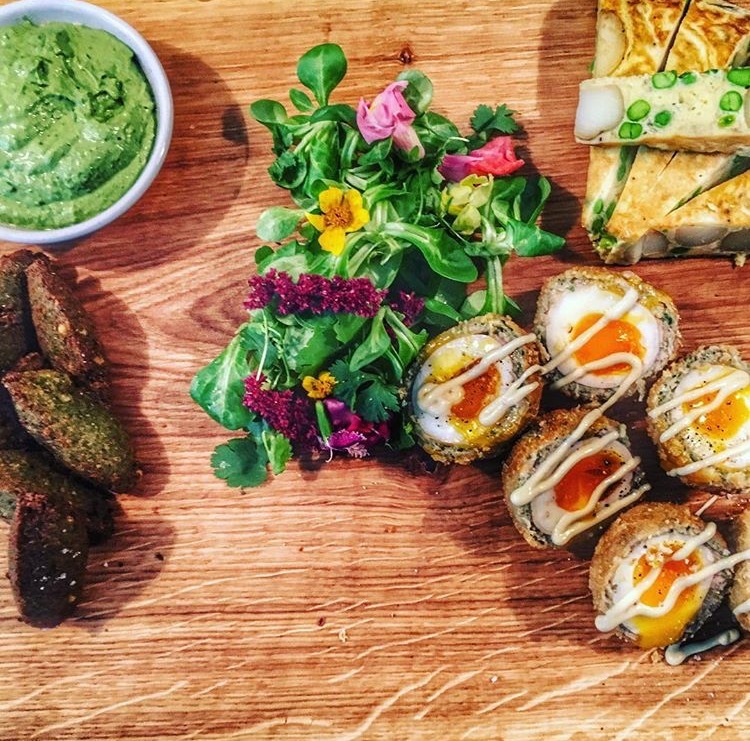 Sharing boards are a great idea for your guests to connect and socialise, whilst tasting amazing food! Some of our sharing boards include: Our famous Scotch Eggs & Coleman’s Dressing; Hot Smoked Salmon; King Prawns & Lemon Mayonnaise and Cotswold Cured Meats. Hopefully these will give you some ideas, if you are looking at the idea of sharing boards. They are also a great opportunity to try a variety of foods, instead of one traditional option. 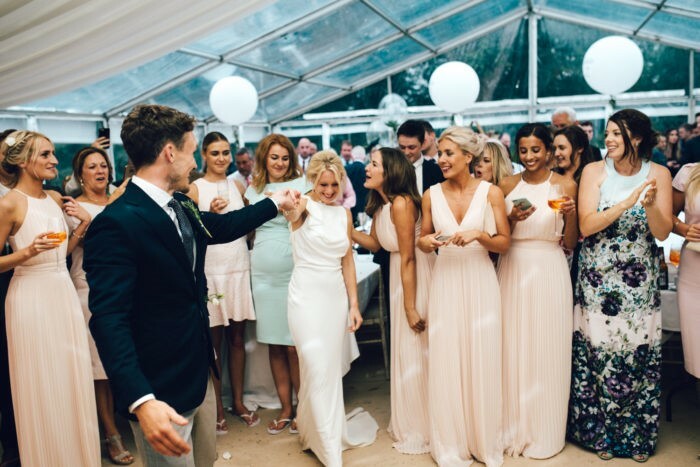 Once you’ve decided who is going to cater for your wedding, you must put your trust in them! You have chosen them for a reason, so you know they are going to a fantastic job. We ensure there is regular communication with our clients to ensure they are happy at every stage of the process. All of our clients have had extremely positive things to say about our food and service which is why we are a trusted caterer. Once you have been through your ideas and requirements, just relax and leave the work to them. My tummy is rumbling just thinking about all this food! Bon appetite!